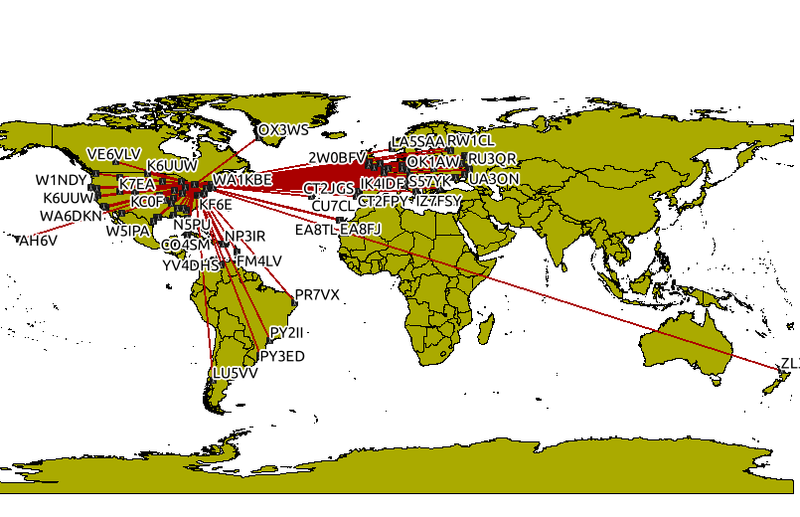 Update: I have a much better Ham Radio QSO Map now. New Zealand, Ukraine, Patagonia, Greenland, Brazil, the Azores … way beyond what I expected. I know the map’s not quite right. The lines should really be curved to be great circle lines on a Mercator map. Also, the NZ contact path was probably roughly SW through Hawaii. This round world doesn’t work on a flat page.